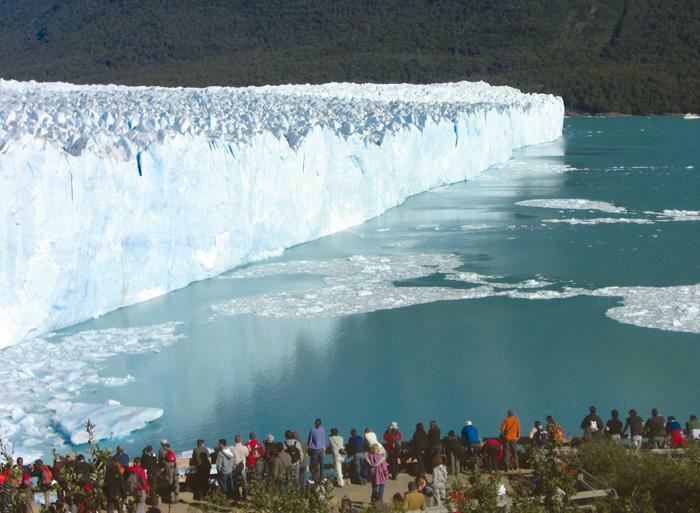 You are picked up from your hotel early in the morning and head out for a full day tour to the Perito Moreno glacier. You have the option of taking a catamaran trip for unique views of the Perito Moreno glacier from Lago Argentino. You also have the option to take a 2 hour ice walking excursion (this activity may not be available from April to September). Your last stop is at the visitor centre which features well set up walk ways that allow views of the front and surface of the glacier. It is a good idea to bring your own snacks and hot drink (thermos with tea), then pick your favourite spot and wait for chunks of the cracking glacier to crash from the 60 meter ice wall into the water. Needless to say, it will be cold! Please ensure you take plenty of warm cloths for this trip - particularly in the winter months. Return back to your hotel in El Calafate.